Vacuum vs. Overlayed Carbon Fiber | Welcome to the RW Carbon Blog! When trying to select the best parts for your vehicle it is important to notate the type of carbon fiber body piece you are purchasing. There are two main types, overlayed and vacuum formed. They both have different properties that give the consumer an option for the highest degree of customization for your car. Overlayed carbon fiber pieces are an FRP or fiberglass body that has been overlayed with a top layer of carbon fiber. The underside of the front lip, trunk spoiler, roof spoiler ect is either FRP which is Fiber Reinforced Plastic, or Fiberglass. During this process a mold is created for the base piece which is the fiberglass or FRP part. One the piece is cast in the mold carbon fiber is then overlayed to that item. The carbon fiber could either be overlayed on only the part of the item which will be visible or the entire front and back of the carbon fiber item. The former method is much more prevelent currently in the aftermarket community. These pieces are typically thicker and less malleable. These properties make this construction ideal for body pieces where high rigidity is needed, for example a front lip. 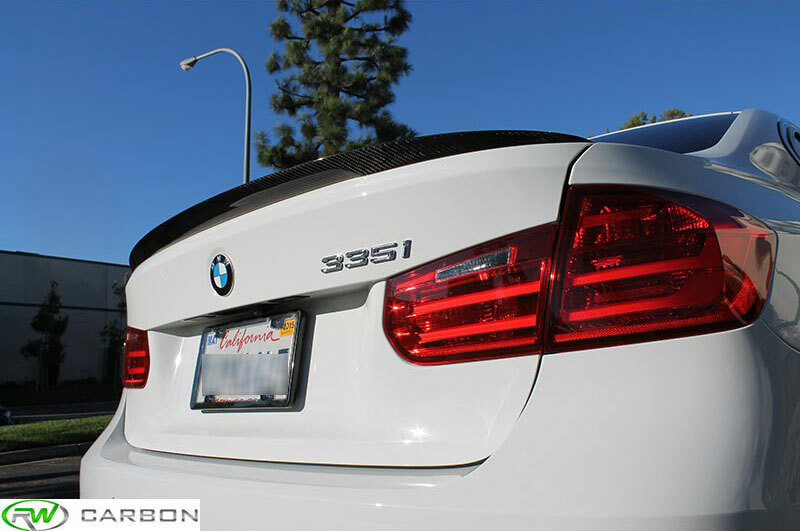 Where most front lips are still being made from overlayed carbon fiber, there has been a trend in relation to trunk spoilers that has been switching away from this standard method and moving to vacuum forming. Vacuum forming of carbon fiber is a technology that is newer than that of overlayed pieces. This construction method utilizes purely carbon fiber and resin to produce a product that is thinner and more pliable. During the manufacturing process the resin and carbon fiber are put into a bag which creates a vacuum over the product. The air is then sucked out and this process provides for a better fusing of the carbon fiber and resin – which creates a higher quality piece. After this process the front lip, splitters, or trunk spoiler is then removed from the bag and trimmed to exact specifications. Where the overlayed pieces could not be flexed much for installation these pieces can be bent considerably without cracking or breaking the piece. The end piece of the vacuum formed construction is ultimately higher quality than that of an overlayed piece. Many enthusiasts are beginning to prefer this method for it’s superior properties which include easier installation, better fitment, and glossy sheen. While it can be done you probably would not want a vacuum formed front lip for your vehicle. This being in that one good bump and you could crush the whole lip due to it’s very thin properties. Overlayed carbon fiber will also scratch, but since it is thicker you risk damaging the lip less. This can especially play true for lowered vehicles. As you can see both overlayed and vacuum formed carbon fiber have their advantages and disadvantages. While vacuum formed carbon fiber has only begun being used in the last couple years we do expect more and more of this type of carbon fiber will soon become available. 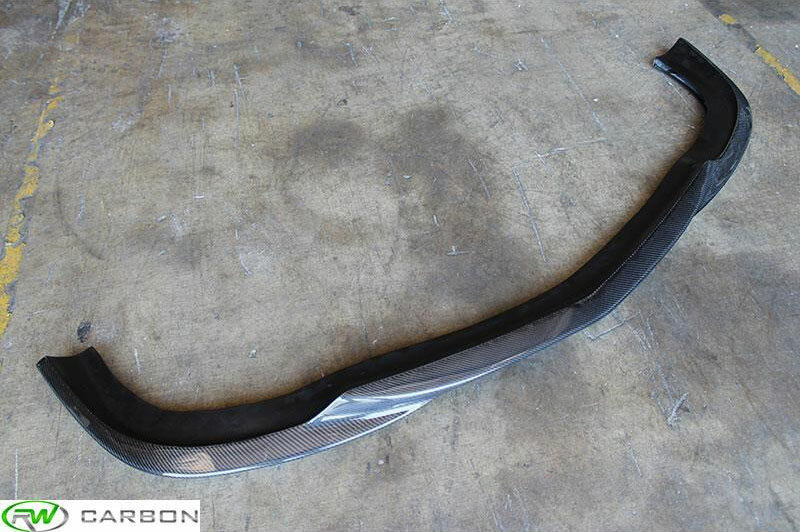 As always if you have any questions about specific carbon fiber parts for your vehicle, give us a call at (714) 328-4406 or shoot us an email at info@rwcarbon.